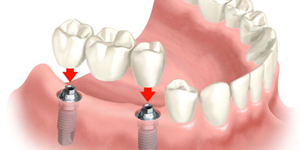 Dental implants are a permanent solution for treating your tooth loss. In fact, they are actually the next best thing to real teeth. 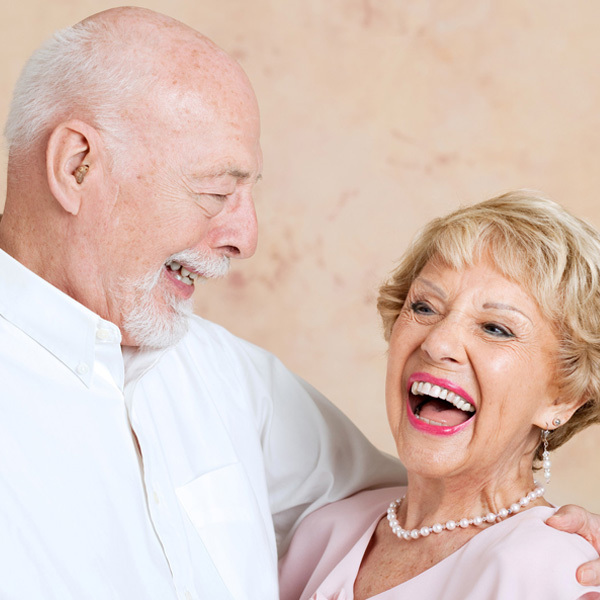 While dentures and dental bridges aren’t designed to last your whole life, implants potentially could. 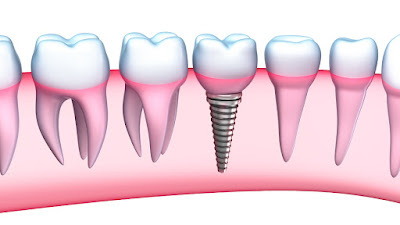 These small metal posts or screws are surgically placed into the jawbone where, over time, the bone will heal around the implant making it a permanent structure within the jawbone. This fusion ensures that the implant won’t go anywhere and it certainly won’t move or shift around like full dentures often can. 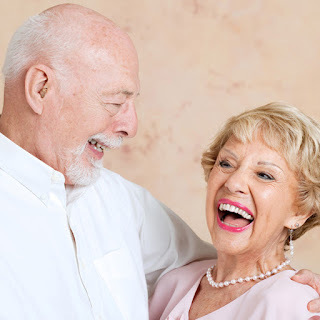 Dental implants can replace your teeth and restore your Dental Implants smile to what it once was. But how do these revolutionary, state-of-the-art dental restorations work? How can they benefit you? Find out the answers to these questions and more with Dr. Ali Shatergholi at Cosmetic & Family Dentistry in Bowie, MD. Tooth loss also leads to jawbone loss. By placing the implant into the jawbone it takes over the role of your missing tooth’s roots and also offers stimulation that the jawbone needs to remain healthy. The sooner you get implants from our Bowie dentist the less bone loss you’ll experience. With the proper care, your new tooth could last you the rest of your life. Only implants naturally meld together with your bone and tissue, meaning that you won’t find another tooth replacement that’s as realistic and resilient as implants. 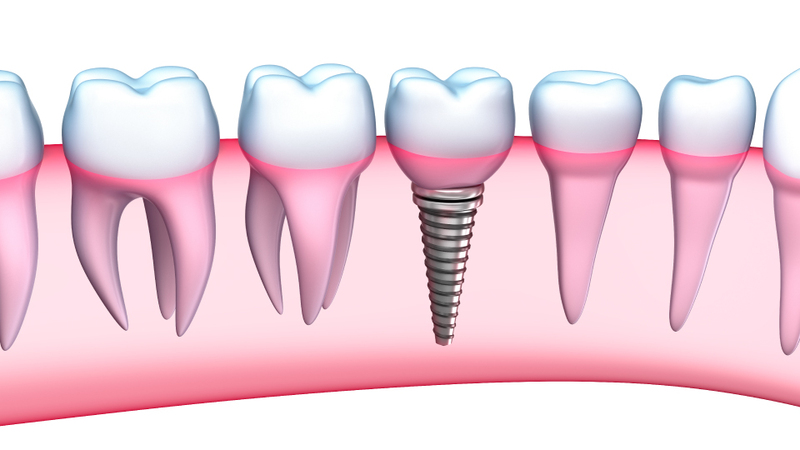 Dental implants require a two-phase process and several dental appointments. Those undergoing this procedure should have realistic expectations for their results and be committed to completing the process. Don’t lose the battle against tooth loss. Your smile can be transformed thanks to a little help from our dental implants. Call Dr. Ali Shatergholi at Superior Cosmetic & Family Dentistry in Bowie, MD today. Let us properly inform you on what you personally can expect! Schedule an appointment today call us at (301) 464-2323. Looking for a quality Dentists Bowie MD that you and your family can trust? Superior Dentistry is a family dental practice providing attentive care to families in Bowie. We offer a welcoming and warm atmosphere and only use state-of-the-art equipment with the highest quality dental materials. Sticky bacterial plaque that builds up on your teeth can cause inflammation and bleeding gums and jeopardize your dental health. 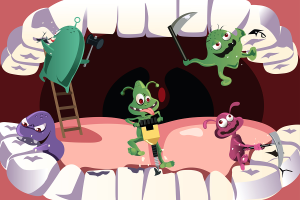 Additionally, bacterial plaque found in your mouth can threaten your OVERALL HEALTH! Experts believe that oral bacteria can escape into the bloodstream and damage major organs. Inflammation is probably a common factor according to experts. Periodontal disease, marked by inflammation, may increase inflammation throughout the body. Inflammation is the underlying problem in heart disease and rheumatoid arthritis. People who have Diabetes are more likely than people who don't have diabetes to have gum disease. Why? Again, inflammation may be partly to blame. And, those with diabetes are more likely to contract any infections, including gum disease. Researchers have found that periodontal problems may also be associated with milder cognitive impairment, such as memory problems that make activities of daily life more difficult. In a recent study, participants who had the worst gum disease scored the worst on memory tests and calculations. Chronic inflammation is common to both conditions. Rheumatoid Arthritis is an autoimmune disease marked by inflammation and painful joints. Although scientists haven't found evidence that one condition causes the other, a 2009 study found that people with a severe form of RA had less pain, swelling, and morning stiffness after their periodontal disease was treated. Practice good oral hygiene habits daily! Brush 2 times a day and floss regularly. Avoid sticky, sugary foods that can cause tooth decay. 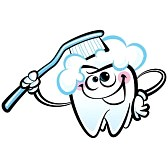 Visit your dentist for professional cleanings and have them advise you on what is a good cleaning schedule for you! Dr. Shatergholi is a dentist in Bowie, Maryland, who treats bleeding gums, gum disease and gingivitis through a wide range of general dentistry treatments. • The electric toothbrush was invented in 1939. • Before the mid-19th century dentures were commonly made with teeth pulled from the mouths of dead soldiers. • Dreams about losing teeth are one of the most commonly interpreted dreams, usually indicating anxiety or a profound change in your life. 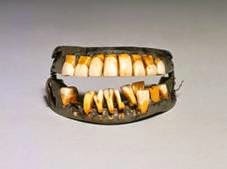 • George Washington’s false teeth were made of ivory, lead, and hippopotamus teeth. • The strongest muscle in the body is the tongue. 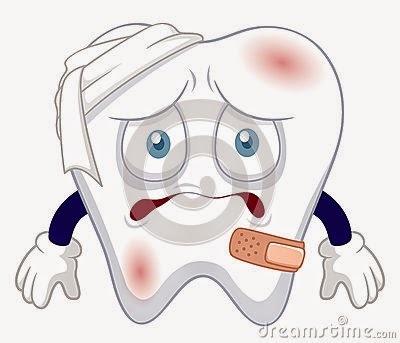 • The tooth is the only part of the human body that cannot repair itself. • Humans produce about 37,854 liters of saliva in a lifetime, that’s about 1.5 liters of saliva in one day. • Redheads are harder to sedate than any other group. They require on average about 20% more anesthesia. 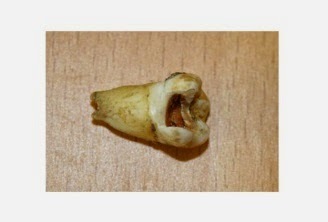 • John Lennon’s tooth sold for more than 31,000 at an auction. Want To Give Your Smile A Makeover? · Good option for superficial stains that do not respond well to tooth whitening or bleaching. · Veneers are individually sculpted for each patient, it is nearly impossible to tell the difference between a veneer and a natural tooth. · Custom-made veneers resist coffee and tea stains, and cigarette smoke because they are made of high-tech materials. · Once porcelain veneers are attached you will probably have some sensitivity to hot and cold temperatures due to the removal of that thin layer of enamel. This typically disappears within a few days. Dr. Melika Shatergholi is a member of the International Academy of Facial Aesthetics, and has had extensive training in lumineer and traditional veneer preparation and placement. 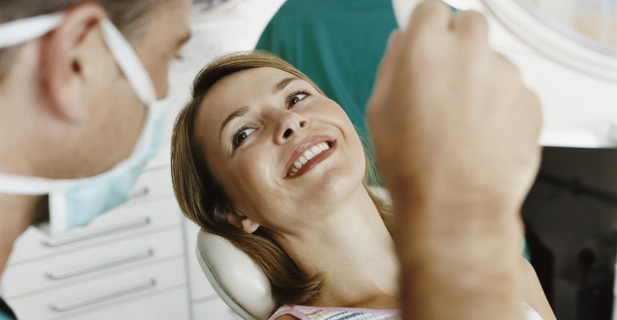 Veneer treatment begins with a consult to determine if you are a potential candidate for the procedure. Teeth can occasionally chip or fracture when you bite down on something hard, like a popcorn kernel or hard bread. Often teeth that have fillings or root canals are at higher risk, because they are not as strong as those that have not had these procedures. However, even intact teeth can chip or fracture if you happen to bite down in just the wrong way on something hard. If you have fillings on your back teeth, try to avoid chewing on bones, hard candies, and ice. Wear a mouth guard if you play sports that could injure your teeth. A survey of college basketball players found that mouth guard users had a much lower risk of dental injuries. Teeth are built to chew and grind food. But if you grind or clench them often, you can damage their surfaces over time. Too much grinding can also cause headaches, muscle pain, and jaw injury. Many people who grind a lot don't realize they have a problem until a dentist notices the signs on their tooth surfaces. That is why it is so important to get a routine checkup every six months! Researchers think stress or anger may lead to tooth grinding. Try to manage your stress by taking walks, meditating, yoga, or other activities that are soothing and relaxing. Here are some cases before and after of tooth fractures that were restored in our office! One of the most common questions we get from our patients is how to take care of their mouths after any type of Oral Surgery; primarily extractions. 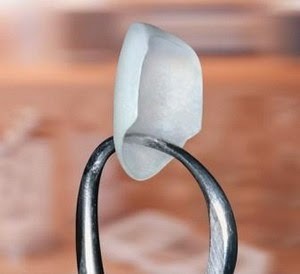 While the mouth can be a bit sore after procedures such as prepping for a crown, fillings, etc. (swishing with warm salt water will help soothe the gums), we run into the most problems when it comes to extractions. The following tips will help heal the gums as fast as possible and make for an experience involving as little pain and discomfort as possible! 1. Starting the day AFTER the extraction, swish 3 to 4 times a day with warm salt water (about a teaspoon of salt to 8 ounces of water). After swishing for about 30 seconds, stand over the sink and let the salt water mixture “drool out”, do not forcefully spit it out! 2. DO NOT drink through a straw for at least 72 hours. 4. Stick to as soft of a diet as possible. Foods such as mashed potatoes, macaroni and cheese, ice-cream, Jell-O, applesauce, broth, scrambled/poached eggs, etc. Avoid anything that can get stuck in the area such as popcorn, peanuts, rice, chips, spicy foods, alcohol, etc. 5. In many cases Ibuprofen is recommended to help subdue discomfort (over the counter Ibuprofen can be used, but in some cases the doctor may write a prescription for a higher dosage of Ibuprofen). Ibuprofen also acts as an anti-inflammatory so it will help reduce swelling and soreness. 6. Always schedule a follow-up appointment to see your doctor so they can evaluate the extraction site and verify that you are healing accordingly! One of the questions that we ask every one of our patients is how often do you floss your teeth? The most common answer we get is two to three times per week. While we highly recommend flossing once a day (preferably at night after you have brushed your teeth), we want to give our patients some other uses for all that dental floss that they have lying around! 1. Use unflavored dental floss to cut through cakes, soft cheeses, fresh baked bread, etc. Simply wind the floss around your pointer fingers and use a slight sawing motion to get the perfect slice! 2. Use dental floss to hang pictures, ornaments, and even wind chimes! During the holiday season dental floss can be used to string popcorn together to decorate your Christmas tree by tying it to the end of a sewing needle! 3. 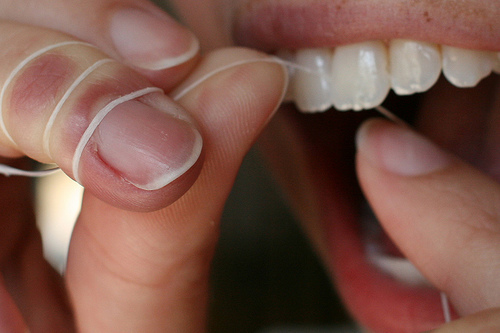 If you are ever camping and run out of fishing line, dental floss can be used as a perfect substitute! 4. If you just took cookies out of the oven and need to serve them quickly, you can slide a piece of dental floss underneath of the cookie to prevent it from crumbling and put it directly onto your serving dish! 5. If you ever have a leaky sink that is keeping you awake at night, tie a piece of dental floss around the faucet and make sure the floss is long enough to reach down into the sink. The water will slide down the piece of floss ending the dripping noise! Hopefully you are using your dental floss predominantly for cleaning in between your teeth, but we hope these few tips and tricks will be helpful to you in your everyday lives! Let’s face it; we have all been scared to go to the dentist at one time or another. However, for some of us, going for our dental check-up every six months is downright terrifying. Whether it is because of a bad experience as a child, fear of the unknown, or what we call “white-coat syndrome”, we want to help our patients to move past this fear and make their experience at our office the most pleasant and comfortable that it can be. 1. Make sure you are comfortable with your dentist. This may seem like a simple request; however it is of the utmost importance. If you are not comfortable with your provider you may feel that you cannot ask him or her questions or express your thoughts and concerns which can lead to problems in the future. 2. Inform yourself! Before having any procedure done, do some research on your own and make sure you understand exactly what is going on. Also be sure to ask your dentist ANY and ALL questions that you may have. Good communication is key! 3. 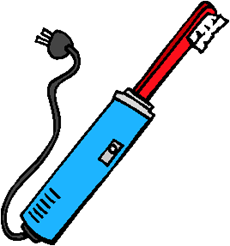 For many of our patients, the noises of the instruments are scarier than the work that is actually being done in their mouth. We have installed Netflix in our office, which has been a great comfort to our patients as a way to take their mind off of what is being done around them. Many of our patients also bring headphones in order to block out the noises from the instruments and focus on their favorite music or audio book. 4. Don’t wait to bring your children to the dentist! The best time to bring a child to the dentist for their first check-up is when their first tooth erupts. These appointments are mostly to get them used to being in the “dental atmosphere”, get them acquainted with the surroundings, and to let them know that they are in a safe and comfortable place. 5. As a last resort, most offices offer Nitrous gas as a means of relaxing patients. Commonly referred to as “laughing gas”, the Nitrous is used to “take the edge off” which makes the dental appointment more bearable for the patient. In addition, for extreme cases of dental phobia, medication can be prescribed before even coming to the office in order for the patient to feel the most comfortable. These days, where you see celebrities plastered all over magazine covers smiling with perfectly white, straight teeth, it is understandable that many of our patients have been very interested in whitening their own teeth. Our in-office KOR whitening as well as the take home whitening kits are both phenomenal systems, however sometimes finances come into play and these systems are not affordable. We want to give our patients other alternatives, especially those who have invested a lot of energy and effort in sustaining a healthy mouth! 1. Avoid sodas and dark colored beverages (i.e. red wine, tea, coffee, etc.) as much as possible. If you cannot give them up, make sure to drink through a straw in order to minimize the amount of liquid touching the teeth. 2. After having your morning cup of coffee, swish with water and spit it out in the sink so the leftover particles of coffee do not sit on your teeth for the rest of the day and cause stains. 3. Some foods to avoid are blueberries, blackberries, ketchup, and hard candies (anything that turns your tongue a neon color is affecting your teeth too!). 1. Mix about two tablespoons of Hydrogen Peroxide with baking soda until it is the same consistency as regular toothpaste. Brush your teeth with that mixture and rinse afterwards. This paste can be used twice a week. 2. Another good whitening agent that most of us have at home is apple cider vinegar. Simply dip your toothbrush into the vinegar and brush your teeth. Rinse afterwards, since apple cider vinegar does contain acids. 3. A final tip for whitening is banana peels! Although we have not tried this one out, many experts say that if you peel a banana and rub the inside of the peel around on your teeth, leave it sit for two minutes and then brush your teeth you will see whitening effects. If you've tried this one, let us know about your experience! With products on the market for every ailment ranging from headaches to hangnails, homeopathic and organic methods for banishing things we don’t want in or on our bodies are becoming more and more appealing. 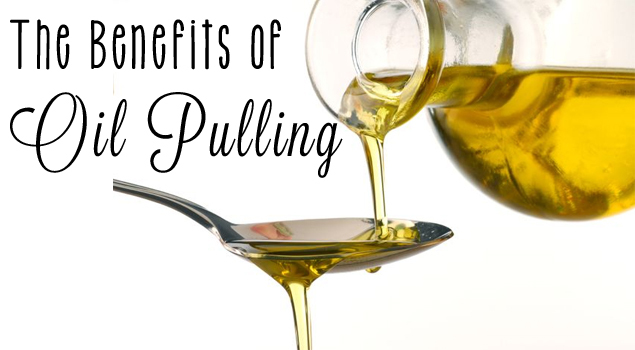 An ancient trend that is making its way back into the 21st century is called oil pulling. Oil pulling is an ancient Ayurvedic technique that only requires you to swish anywhere from a teaspoon to a tablespoon of organic coconut oil around in your mouth for 20 minutes in order to eliminate toxins and bacteria. What the best and worst foods are for healthy, strong teeth ? So many patients are always asking us what the best and worst foods are for healthy, strong teeth. Unfortunately, it is true that if you eat predominantly “bad” foods, the chances of developing a cavity are greatly increased. In order to distinguish between good and bad foods for the teeth, it is important to know how cavities form. 1. 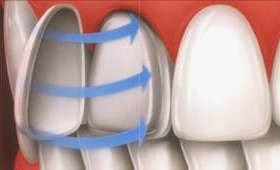 First you need a thin, sticky film of bacteria to form on the tooth surfaces. This film is called plaque. Plaque accumulates if someone does not practice good oral hygiene techniques (i.e. regular brushing and flossing). 2. The plaque then needs to come into contact with sugars and starches to produce acids that can attack our teeth for 20 minutes or more after we finish eating. Continuous attacks can result in tooth structure breakdown and ultimately result in cavities. Now that we know the steps necessary for cavities to form, it is important to see what foods increase the chances for developing cavities and which foods minimize our risk. Fruits and veggies high in fiber (i.e. beans, artichokes, raspberries, blackberries, etc.) are great because these foods produce more saliva flow, which is like a natural mouthwash. Our saliva neutralizes acids that destroy our teeth and contains minerals that rebuild spots on our teeth that have been attacked by bacterial acids. Yogurt, Cheese, and milk all produce saliva and have minerals that also restore weak spots in the teeth. Certain Teas (Green and Black Specifically) have a substance called polyphenols that suppress and kill bacteria. Sugarless-gumhelps produce saliva, which washes food from the teeth. Sticky sweets (i.e. lollipops, cough drops, Jolly Ranchers, etc.). The longer sugary substances stay in your mouth, the greater the chance for the bacteria to convert the sugar to acid. Starchy foods such as chips and bread that can get stuck in the teeth. Sodas and carbonated drinks not only contain high levels of refined sugar, but also phosphoric or citric acid that can damage tooth surfaces. With these tips, as well as good home care (brushing and flossing two times per day) you can maintain healthy, clean, and strong functioning teeth! At Superior Cosmetic & Family Dentistry, we strive to make your visit to the dentist a serene escape. Some may ask how a dental visit could possibly be a relaxing experience and we have one simple answer: flowers. It has been proven by numerous studies that flowers reduce anxiety, negativity, and depression and even improve memory loss. But wait, there is more: flowers produce positive moods within women, men, children and elderly people alike! 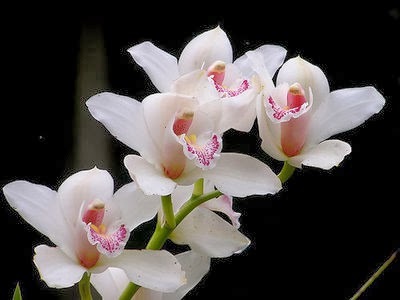 At our office, we have done our best to reduce dental anxiety by placing live beautiful orchids around the office to create a beautiful, tropical, “home away from home” atmosphere! Full service dentist MD, Affordable dental in bowie md, Cosmetic dentistry in Bowie MD, Dental implants bowie md, Cosmetic & family dentistry md, Dentists Bowie MD, maryland dentists,dentist in maryland,maryland dentist,dentists in maryland,cosmetic dentist maryland"